South Lamar Boulevard is one of the nine corridors prioritized by the city for bike- and pedestrian improvements under the 2016 mobility bond. The project has a simple goal, but you wouldn’t glean that from its name: "Evaluation of Bicycle and Pedestrian Monitoring Equipment to Establish Collection Database Methodologies for Estimating Non-Motorized Transportation." 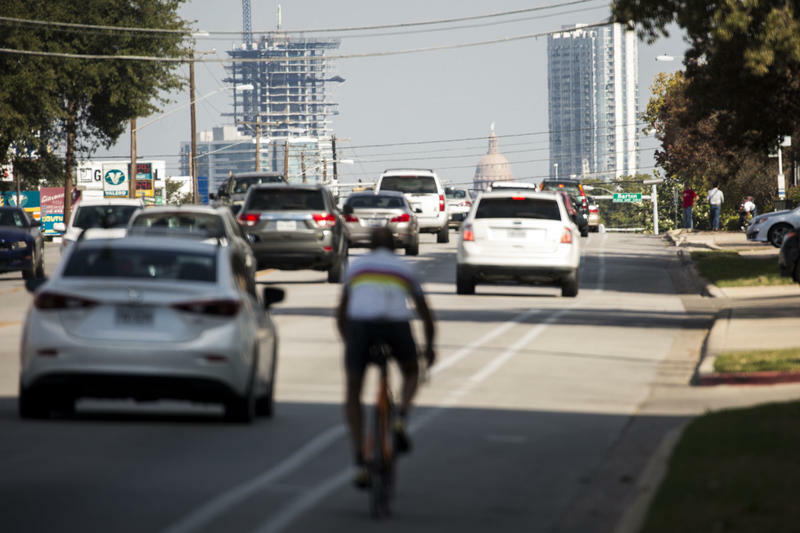 Researchers with the TxDOT-backed pilot program are counting cyclists and pedestrians on roads in both Austin and Houston, and want to figure out a way to share that data statewide. In Central Texas, bike and pedestrian counts happen, but they’re not necessarily consistent – and the data are not always readily available to researchers and planners at TxDOT. Greg Griffin, a researcher at the Texas A&M Transportation Institute, says the project is about nuance. A nuance that, he says, is not often afforded to researchers. “Our transportation agencies haven’t been able to put the resources into doing nuanced counts of bicyclists and pedestrians all over cities,” he says. So, Griffin and his fellow researchers here and in Houston are collecting data and trying to figure out how to store it – all without spending any extra money. An easy way to do that is to have the pedestrians and cyclists do the work for you – by using crowdsourced data from open platforms like Strava or RideReport. These sorts of apps have provided transportation researchers an easily accessible, relatively low-cost source for counts, but they’re not 100 percent accurate. Not everybody has a smartphone, and the people who do don’t necessarily use those apps while they’re biking or walking. Even if they do, it’s not always clear whether they’re out for fun and exercise or just trying to get somewhere. We always have imperfect data. We’re always making decisions, and we let the lack of data hamper us. “These new data sources are interesting and helpful, but if you just pick them up and apply them without thinking about who it’s representing, then that can make, actually, worse situations,” Griffin says. "Then, you’re planning for people that are buying apps – instead of your community." To create a 100-percent-accurate snapshot, sometimes the old ways are the best. So, researchers are using pneumatic tubes – like TxDOT uses in its car counting – to measure capacity along roads like South Lamar. The thin, rubber tubes are embedded with sensors that give a relative sense of how fast cyclists are going while counting cyclists on a given roadway. But, they’re not a permanent solution; they’re nailed into a handful of bike lanes for a few weeks, and then they’re gone. So, Griffin is also using data from the permanent bike counters set up by the city along high-traffic areas. They provide constant data and they’re sturdier than a thin, rubber tube with a sensor in it. His team even uses video and person-on-the-street-style interviews to count cyclists and pedestrians. All of this will give a clearer picture of where people are biking and walking, and could inform the $482 million corridor project that was funded by last year’s mobility bond. That slate of projects along nine roads in Austin will take the better part of eight years. Austin City Council has yet to approve construction plans for those corridors, though a draft of the plans is expected before council early next year. While the data could influence those projects as they’re built out, Billy Fields, a professor of political science at Texas State University, says the transportation institute's research is short-term. For him, it’s quantity over quality. The pilot program is well intentioned, he says, but it’s grant-funded. There are no guarantees it will continue after the money runs out. “The key issue is that we need to do this consistently. It’s not a one-time deal. It’s an every year deal. That’s what, essentially, auto traffic data is about,” he says. “It’s about doing it consistently and managing the system that way, and we don’t do that. We need to institutionalize that data-collection system." To get a good picture, Fields says, you can just get some numbers on a consistent basis to see where crashes happen, and where bicyclists and pedestrians are going and where they’re not. While Austin’s Bicycle Master Plan is a good example of using comprehensive cycling data, that sort of deep-dive isn’t always necessary to get a quick look at who’s riding where. Ultimately, both he and Griffin agree – no matter how the data are being collected – more people are walking and biking in Austin and across Texas. 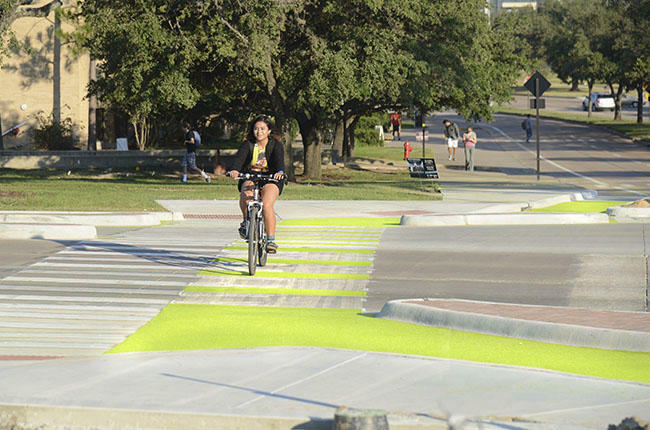 But, when the research collection wraps up in February, Griffin hopes a potential database could help cities and TxDOT balance pedestrian and cyclist-minded improvements like safer bike lanes and more pedestrian-friendly crosswalks, while reducing traffic on busy roadways. B-cycle Is Expanding. So Why Are All The New Stations Near Downtown? 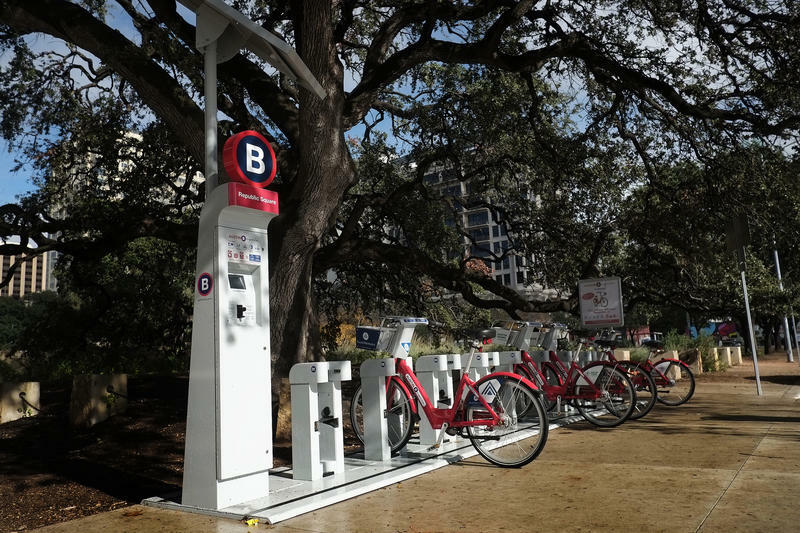 B-cycle, Austin’s bike-share system, recently added three new stations as part of an 18-station expansion over the next 18 months. All the new stations will be close to or in downtown, adding to the company’s existing 51 docks. Conflicts among drivers, bicyclists and pedestrians lead to hundreds of deaths and thousands of injuries each year. Transportation researchers want to solve the problem by redesigning intersections so that all kinds of traffic have their place, and can keep an eye on one another. The sight of red bicycles with bulky baskets is familiar to anyone who spends time in downtown Austin. B-cycle, which operates the rentable bikes, has had the bike-sharing market cornered here since it launched in 2013. 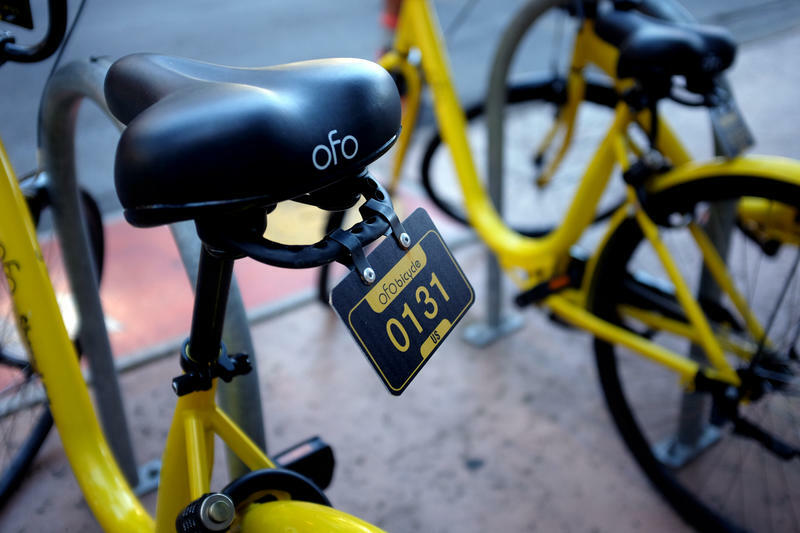 But South by Southwest has brought some competition to town in the form of new rentable bikes that can be unlocked with an app and don’t have to be parked at stations.